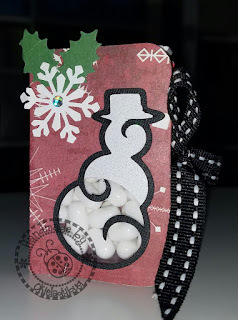 It seems at Christmas time, and other holidays as well, we are rushing around trying to figure out cute little things to make to dress up simple things like candy to make it a little more special. One of my favorite things is a little box that holds those scrumptious delectable Ghiradelli Squares! I have made these for Christmas and Valentine's day and they were always a hit. I try to watch after the holiday's for them to go on clearance so I can use them for the next holiday since they can be quite expensive. 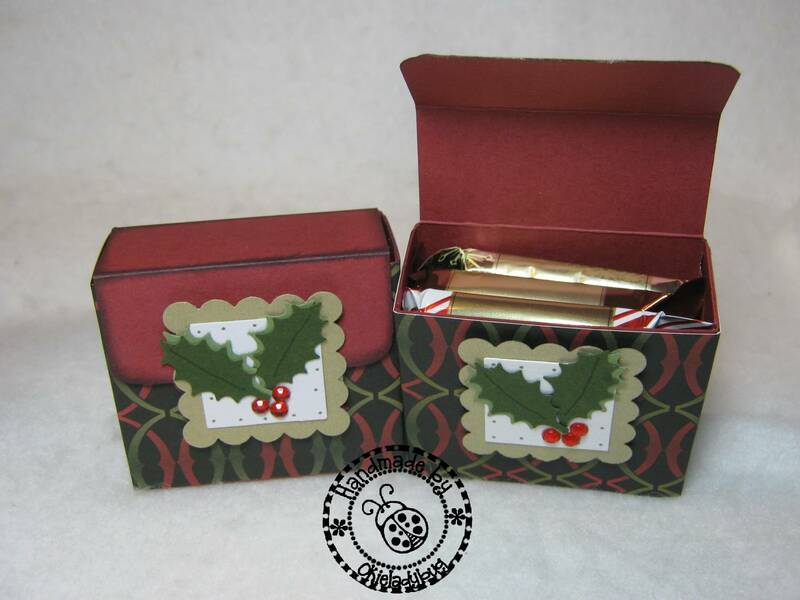 These little boxes are quick to cut and decorate and are great for coworkers, friends, stocking stuffers, etc. There are instructions out there for cutting these without a machine but why do that when we have perfectly great machines that can make the task so much faster and simpler, no measuring is always a good thing in my book! 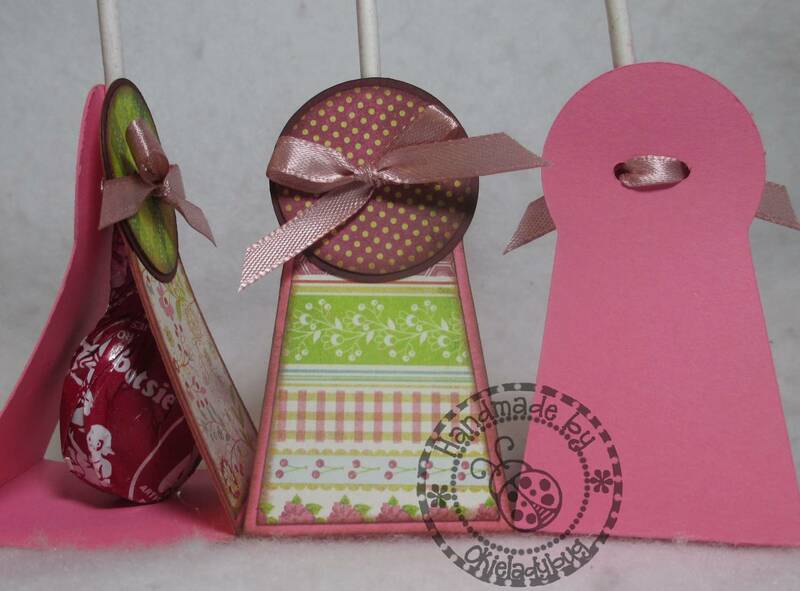 In the Zip file I have also included the Lollipop Holder and Tic Tac Holder. The lollipop holder is another fast and easy cut and they are just adorable! You can dress them up for any holiday by choosing different papers. They would also be great for birthday favors. I have included 5 different decorative tops to choose from so the favor can be used for what ever occasion needed. 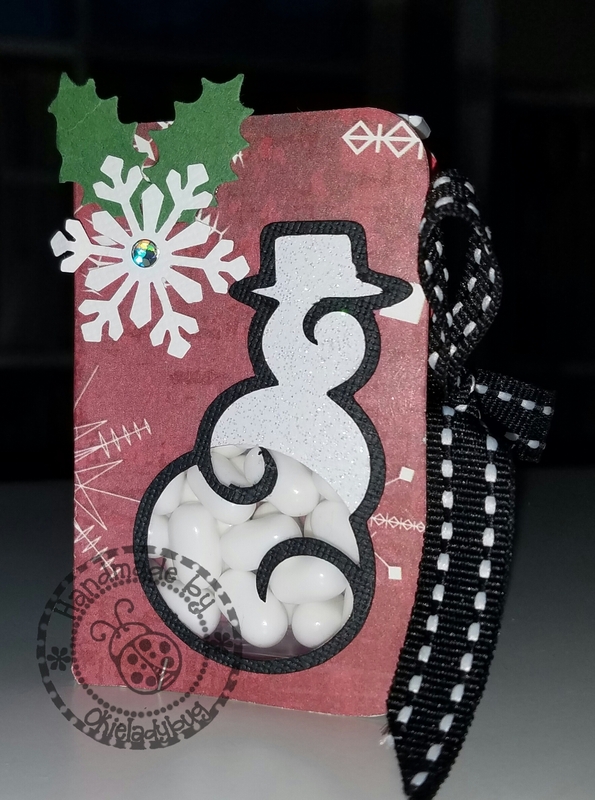 The Tic Tac holder does have a snowman cut but I also included a full cut blank cover so you can decorate anyway you wish. There are so many ways to decorate that I can't even list them all. I ran red line tape along the middle of the cover and applied ribbon to keep the cover closed and then also used the red line tape down the spine to keep the Tic Tac box in place. To purchase just click the "Buy Now" button and follow the directions that are listed below the buy now button. 4 files are included in this purchase and is downloaded as a Zip File. Once you hit the "BUY NOW" it will take you to Paypal where you can pay for the item. Once purchase is complete Paypal will redirect you to "Return to Merchant" where you will given the link to download the file from Google Drive. Can't seem to get the PayPal button to work. Not sure if it's on my end or site. Can't wait to get my hands on that Ghiradelli Box :) Thanks! Once I paid for it there wasn't a "Return to Merchant" thing to click on. I have the receipt.? Sorry for the problem, someone else had the same issue. I emailed the zip file to you. Can't wait to make some of these with Grosgrain Ribbon for the holidays. Thanks for sharing.